I made Chhole Masala for dinner last week and found approx 1 cup was left in kadai, after eating until I burped :P Next morning, I made a light breakfast and decided to have something for lunch too :) I kept pretending as I was cooking a fabulous dish from start to end! Cook basmati rice in plenty of water with a pinch of salt until 90% done. Once it starts crackling, add ginger-garlic paste and saute it for a while. 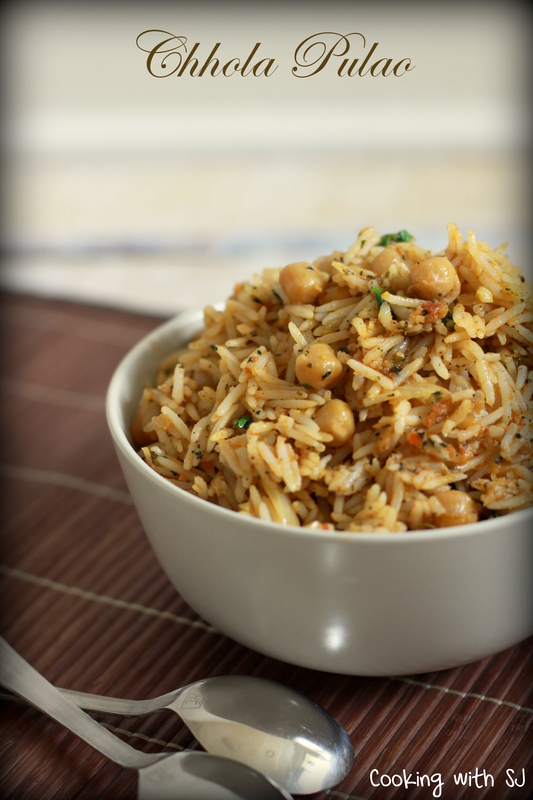 Add leftover chhola along with cooked rice and spices. Toss everything quickly and turn off the heat. Mix lemon juice over it and mix again. You can also add some pan-fried potatoes if you wish to bring a variation! seriously I can not eat leftovers, that’s why I stop eating lunch, for me only I don’t like to make anything. what ever leftovers mix it with next day diner and have it, due to my age also I can not eat day old food. 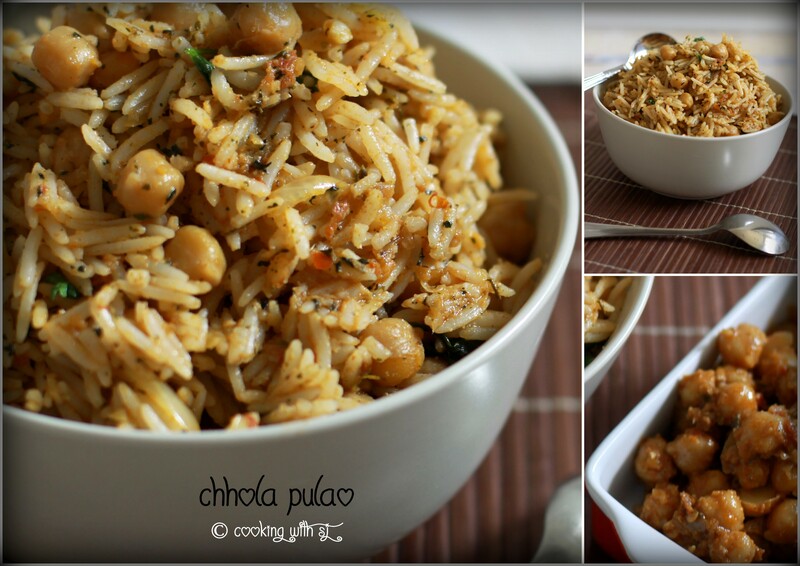 love the chole pulav idea, next time make it kathi rolls out of it. No words.scrumptious….never heard this before.being a vegetarian is a healthy rice for me.thanks for sharing………….